The Solemnity of the Blessed Virgin Mary of Mount Carmel is the most important celebration of the Carmelite Order. The first chapel built by the earliest hermits on Mt. 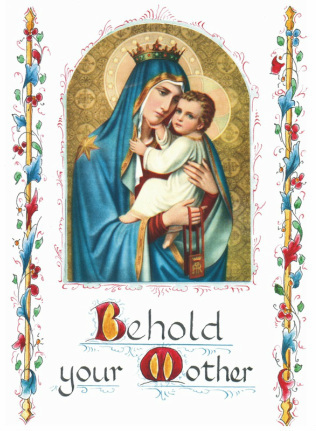 Carmel was dedicated to the Blessed Virgin Mary, and the Order has always considered itself to be under her special maternal protection. "The Discalced Carmelite nuns are, by calling, part of the Order of the Blessed Virgin Mary of Mount Carmel. They belong to a family consecrated in a special way to loving and venerating the Holy Mother of God; and they seek to attain evangelical perfection in union with her. Mary’s presence among her daughters and sisters pervades the entire Carmelite vocation. It imparts a special Marian tone to their contemplation, sisterhood, evangelical self-denial, and apostolic spirit." "St. Teresa and St. John of the Cross ... present Mary as a model of prayer and self-denial in faith’s pilgrimage. She humbly and wisely welcomed the Lord's word and pondered it in her heart. She was wholly responsive to the impulses of the Holy Spirit. 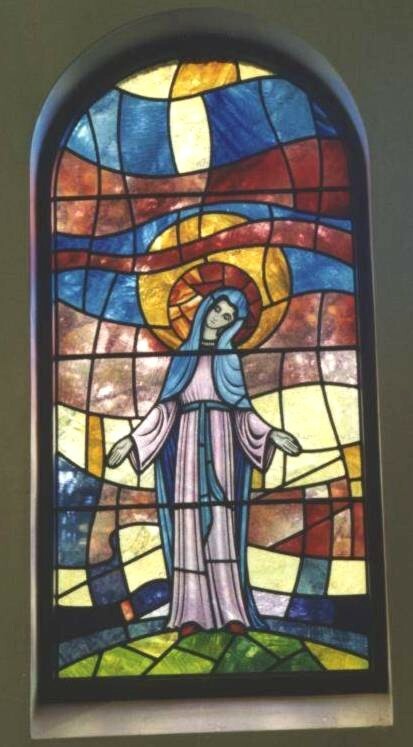 She is the valiant woman who follows Christ faithfully and shares in the joys and sorrows of his paschal mystery." "In Our Lady we contemplate the ideal of the Order lived to perfection. Her example inspires us to follow in her footsteps. She takes the lead among the Lord’s poor and little ones. She best exemplifies contemplative life in the Church. Every sister will find in Mary a mother and teacher in the ways of the Spirit who will conform her to Christ and lead her to the heights of holiness. Because of their profession, the sisters belong to the Virgin Mary in a special way. They wear her scapular to show that they are members of her Order and are determined to clothe themselves with her virtues." In the Carmel of the Magnificat we celebrate this great feast with a day of public adoration of the Blessed Sacrament in our chapel. 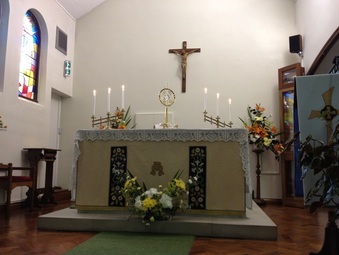 The sisters and our friends outside in the chapel join with Our Lady to pray especially for vocations to the priesthood and religious life in our Archdiocese, from after Holy Mass at 9.00 am until Vespers and Benediction at 4.30 pm.